Last Friday I found myself in a place I had never been before in my 20-plus years working on public policy – testifying before the powerful California Air Resources Board, arguably one of the most influential regulatory bodies in the nation. This was my first foray before CARB as Coalition for Clean Air’s newly hired senior policy advocate. I was there to support greater improvements in air quality in low-income, disadvantaged communities and reductions in greenhouse gas emissions through advancements in clean-air technology. As I sat in the Byron Sher Auditorium nervously waiting for my turn at the microphone (I admit, I was intimidated by appearing before Mary Nichols, CARB chair and renowned clean-air warrior), my mind wandered back to a moment in time nearly 25 years before. My wife and I were moving from the San Francisco Bay Area to Los Angeles where we had taken jobs as reporters at a San Fernando Valley newspaper. Janet was about 12 weeks pregnant with our first child and made a final appointment with her OBGYN before the move. After the appointment, she called me in tears. The doctor told her that, because of the poor air quality in the Valley, moving to LA would shorten the life expectancy of our child. I didn’t know if that were true or if it was just more of the So Cal bashing my wife and I had been hearing from our Nor Cal friends. 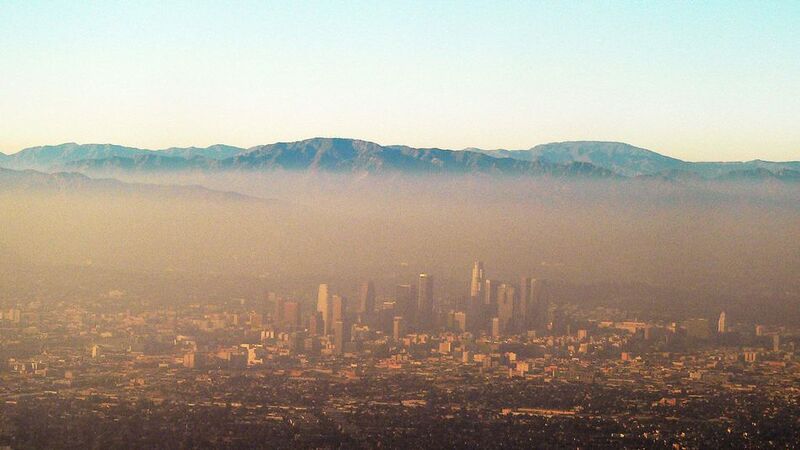 I knew first-hand about LA’s notorious air pollution. I went to Cal State Long Beach in the early 1980s. I remember not being able to see the San Gabriel Mountains on most days. I remember, too, weekend drives to Lake Arrowhead and rising out of a thick blanket of smog that covered the LA basin below as I made my way up the mountain. Janet and I no longer live in LA. Our careers eventually brought us back to Northern California in 2003 when we moved to Sacramento. 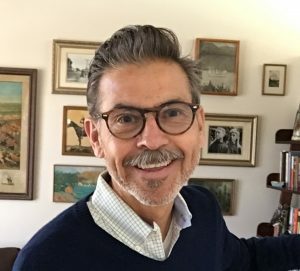 And after more than two decades of working for the state Legislature for legendary figures like Senators Tom Hayden and John Burton, I came to Coalition for Clean Air to fight climate change and work for improved air quality for all Californians, especially those in disadvantaged communities because they suffer disproportionately from air pollution. I still visit LA frequently – the daughter my wife was carrying during her disastrous OBGYN appointment is now a second-year law student at UCLA. Air quality has improved in LA over the past 20 years. In 1998, nearly eight of 100 15-year-olds living in the Los Angeles Basin had significant lung deficiencies, according to the USC Children’s Health Study published in March 2015. By 2011, that number dropped to 3.5 out of 100 due to improved air quality. The American Lung Association recently reported that the Los Angeles-Long Beach area still suffers from the greatest ozone pollution in the nation. The region is also in the top-10 with the worst year-round particle pollution and short-term particle pollution. That’s why the work of CCA is so important and why I am proud to be a part of the effort and that brings me back to Friday’s CARB meeting where, with palms slightly sweaty and a dry mouth, I approached the microphone. And so began a new career fighting for a healthier California and the pink lungs of generations to come. This entry was posted in Clean Air. Bookmark the permalink. Rocky – A great read! Demonstrates how our air quality impacts or daily lives. You have put a very personal touch to the battles you face in your new work. The Coalition for Clean Air is fortunate to have you on their team. You will be a great asset to their cause. All the best!